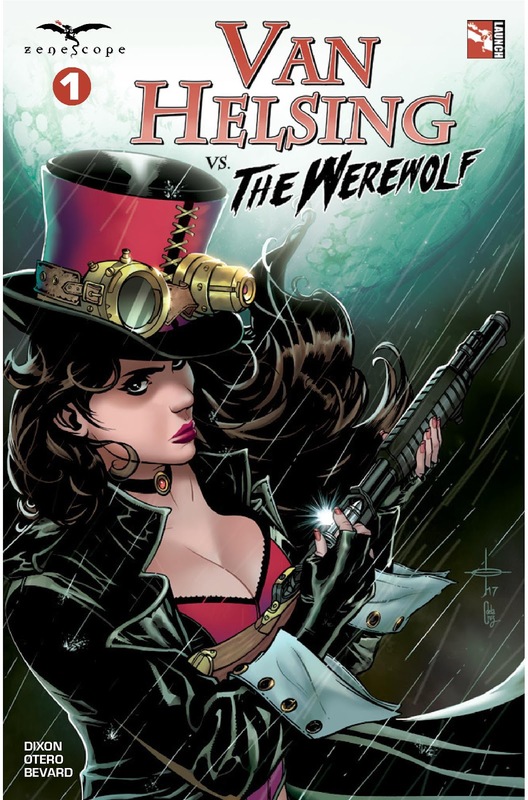 The Fellowship has obtained a first look at VAN HELSING VS. 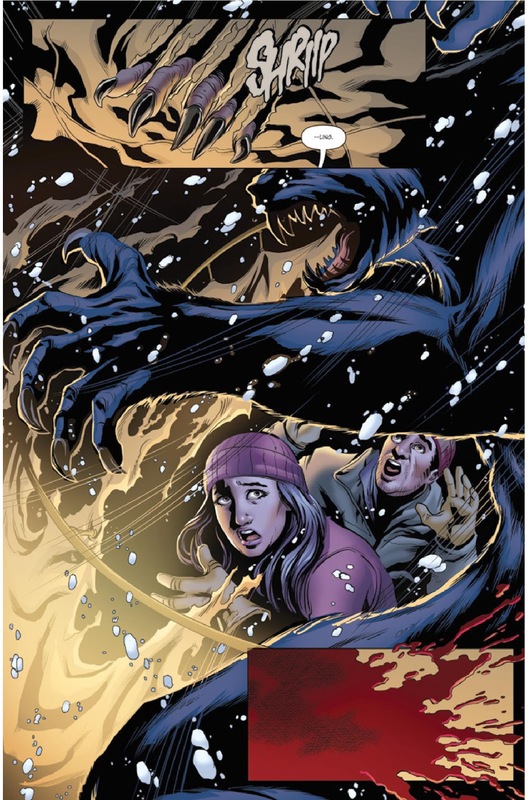 THE WEREWOLF #1 from Zenescope Entertainment. 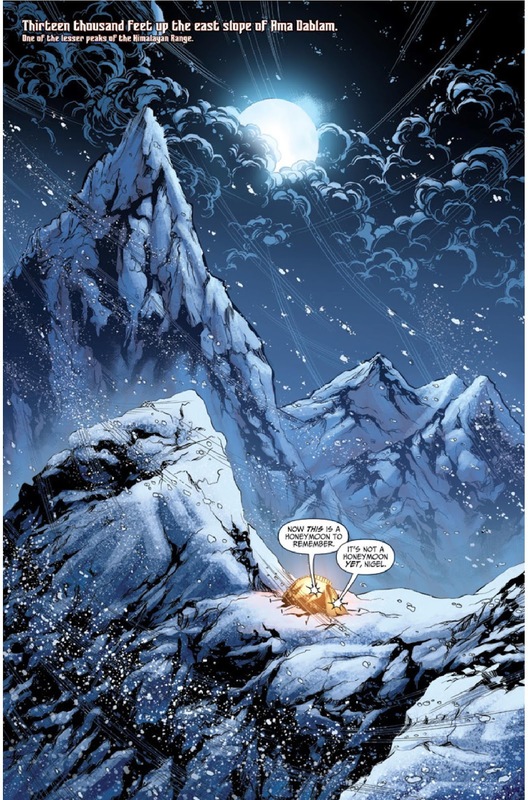 The issue, which hits stores July 26th, is written by Chuck Dixon; with art by Allan Otero, colors by Robby Bevard, and letters by Taylor Esposito (of Ghost Glyph Studios). A brutal werewolf attack on a high mountain ledge! A heist in the Forbidden City. An epic kung-fu brawl at the airport! A battle with a vampire at 35,000 feet! A horrific crash I the Himalayas! And that's only the start of the newest Liesel Van Helsing adventure! The legendary vampire killer is on a global hunt for the Sword of Heaven, the ultimate demon-killing weapon. This new limited series features the Zenescope premiere of writer Chuck Dixon (Batman, Punisher, Bane: Conquest).